Made in the USA by a U.S. government contractor, this tough Type III paracord carries a 550-lb. rating. 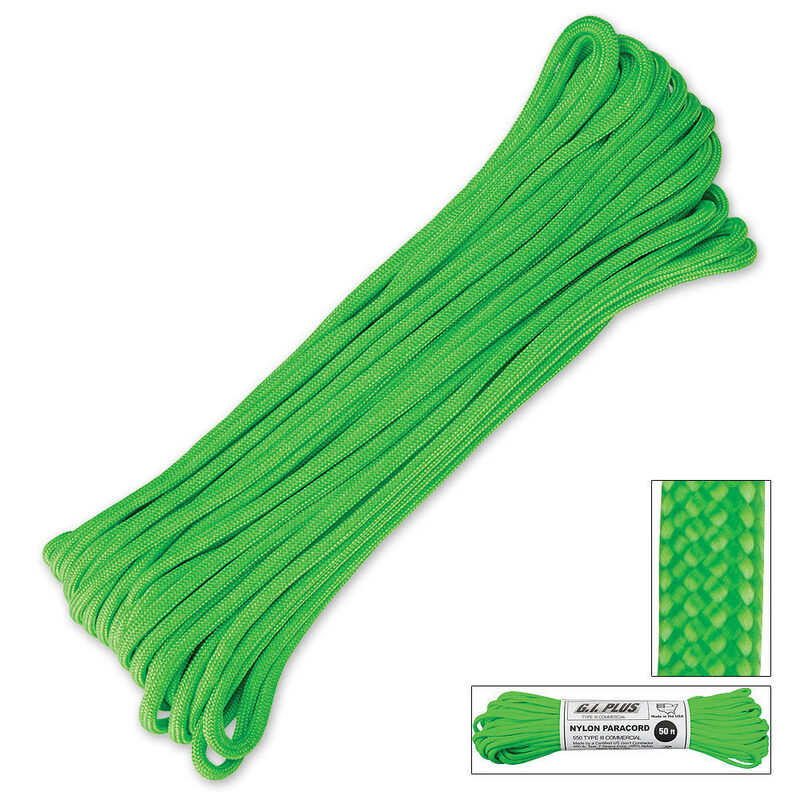 Constructed of 100% nylon with an impressive 7-strand core, in green. 50 foot bundle. Trueswords: Their shipping speed was excellent as always. Paracord: It's great paracord! Can support 550 pounds, and I bought 2 so I can have 100 feet. Great for bracelets or or a lot of paracord, a belt? Only thing I can say is, it came in 2 types of green. One darker and one lighter. It was kind of weird, but nothing to complain about.